18 year old Zabaleen, Bahaa, makes black coat hangers from recycled plastic picked out from garbage collected from the homes and streets of Cairo. He has been doing the job since he was 13 and earns around $6 a day. 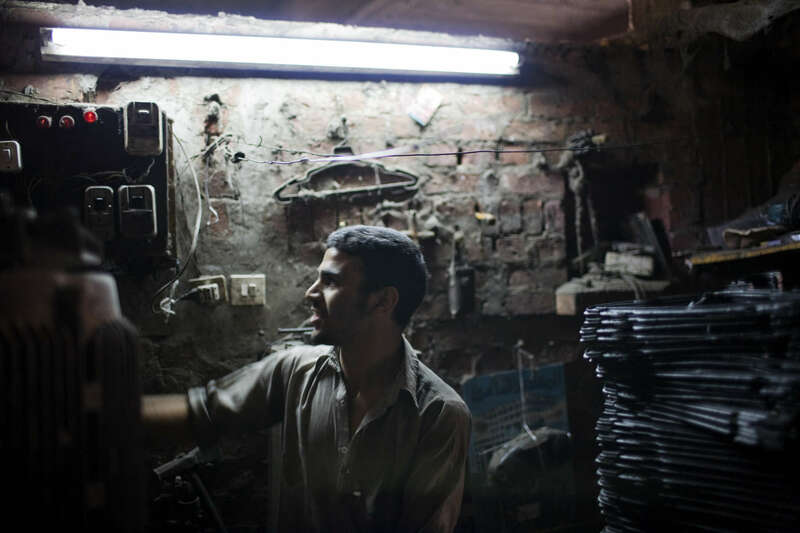 The Zabaleen are a community of Coptic Christians largely residing in the Cairo suburb of Moqqatam and are said to be the world's greatest recyclers.